Make the right connection choice. RHM can help you through the maze. If your business has a telephone system, fax, pdq or broadband then you will have telephone lines connecting your site to the network. RHM can manage, support and bill you for these lines offering great value for money. We can provide new lines or take over your existing services. In addition we can manage your migration to the new alternative known as VOIP (Voice over IP) or SIP Trunks. RHM has years of experience working with small and multi-sited customers helping them manage their connection spend. We have wholesale access to the main carriers for routing call traffic, including BT, Gamma and Talk Talk. Our sizeable client base allows us to negotiate excellent wholesale rates and we can mix and match how we route certain traffic ensuring best value for your business. We also build a tariff that is bespoke for you based on analysing your call profile from your incumbent supplier. This ensures we drive optimum efficiency for your business. We’ve invested in our own in house billing engine which allows us to create a bill that’s tailored specifically for your business, building in the cost centres you need to help you manage budgets, painlessly. Our reporting suite is extensive and we email your invoice in PDF alongside a set of management reports in either PDF, CSV or both. In addition, we have a web portal where you can securely access your invoice history, management reports, set up your own e-alerts and view pre billed call data up to and including the previous day’s activity. We can register your lines with multiple carriers so if you experience any call quality issues we can swiftly shift certain routes, or all traffic, to ensure optimum service levels. If we implement SIP Trunks (VOIP) we can pre-build a disaster recovery plan ensuring calls divert to a predetermined location or telephone number. We can also design resilient builds with primary and secondary endpoints. PSTN, ISDN2, ISDN30, SIP, VOIP – which is the right connection for you? RHM works with you to choose the right approach for your business. We explain the pros and cons of each connection solution so you can make an informed decision. PSTN lines are good old fashioned telephone lines that you would have at home or in your office for a dedicated fax or alarm line. It comes with its own dedicated number.It is an ordinary telephone line that routes from your premises back to a green street cabinet and on to the local telephone exchange over the BT copper network. You will also need one of these if you want a Broadband of Fibre Broadband connection. ISDN lines are typically used to connect your business telephone system to the BT network to enable you to make and receive calls over those lines. ISDN2 gives you two lines or channels per connection. RHM would typically provide this if you wanted up to a total of six lines connected to your telephone system. ISDN30 comes with a maximum capacity of thirty lines or channels. You have to rent a minimum of eight channels and can increase capacity as required. BT have signalled that by 2025 ISDN services will be replaced by SIP completely. 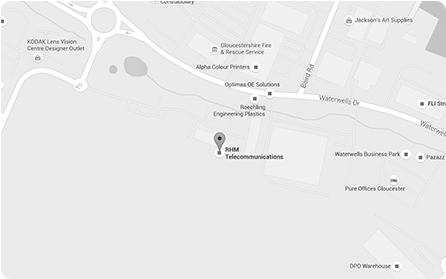 RHM provides PTSN and ISDN lines exclusively via BT Openreach. Our helpdesk manages provisioning and fault repair via a portal directly onto BT Openreach systems. If you call us to report a fault, we can do immediate line tests and book BT Openreach engineers to visit site for an install or a repair. This gives you access to the biggest most available network and team of national engineers together with RHM’s friendly and supportive helpdesk. Session Initiated Protocol (SIP), sometimes referred to as VOIP (Voice over Internet Protocol) is a modern day replacement for ISDN lines and BT has signalled that by 2025 ISDN services will be replaced by SIP completely. When RHM implements a new telephone system installation or upgrade, we help businesses migrate from ISDN to SIP. We have been doing this successfully since 2010 and have managed some large migrations. During an upgrade, we port all your existing telephone numbers off the local telephone exchange into the Cloud to ensure continuity for your business. Once completed it doesn’t matter which connection you choose, you’ll be able you to keep those numbers regardless of location. The key to delivering a successful deployment is ensuring the Internet connection has the required bandwidth, service levels and, where practical, dedicated for voice only. If your business wants to use the Internet connection for voice and data this is where your quality of calls will suffer, unless implemented correctly. RHM always delivers via a managed connection down to a high end CISCO router where voice calls are prioritised over data. Otherwise any spikes in data usage will cause your voice quality to drop out.